The guitarist posted a message on his Facebook page after an initial report on music-news.com that the band, fronted by Morrissey, were reforming for a series of gigs. Marr said: "Thanks to those with Hearts and Smarts. I don't know where this stuff starts. Not from me. I got things to do. Johnny". The band's former drummer Mike Joyce, who now works as a DJ in New York, also denied the story. 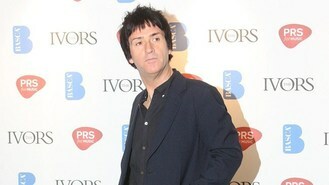 He said: "After today's reports of The Smiths reforming I can confirm that they are not." The Smiths came together in Manchester in 1982 and recorded a string of critically acclaimed albums and singles combining Marr's chiming guitars and Morrissey's witty lyrics and dramatic delivery. They courted controversy in their brief career, recording a song about the moors murders and another called The Queen Is Dead, while Morrissey regularly sounded off in the music press at targets such as Band Aid. The band split in 1987 before the release of their last studio album, Strangeways Here We Come. The Smiths revival rumours come after fellow Mancunians The Stone Roses announced they were getting back together for a string of live dates.